We now offer public firing services! We operate two large electric kilns and one electric test kiln in our on-site studio. We fire to cones 04, 06, and 5. If you need a special firing (018 for lusters, for example), we are happy to accommodate, however special firings require a full kiln buyout (unless your piece fits in the test kiln). Our maximum firing temp is cone 5. Risks and Damages: We will make every effort to ensure a successful firing for your clay pieces. There are risks involved during any kiln firing and may be occasions when glaze defects will occur. The clay must be dry when you bring it to us. We will not accept any wet clay projects. Armadillo Clay is not responsible for any cracks that might develop during or after the firing process. Although rare, any damages to our kiln or kiln furniture directly attributed to your work will result in replacement or repair charges at your expense. Paper Penalties: Paper clay and paper armatures will not be fired in our kilns. The type of clay being fired must be known, and if there is any doubt we will not fire the project. A penalty of $40 will be charged if there is paper in the clay or if a shelf is damaged due to unknown clay type. Transporting: Please bring all pieces in a reasonable sized box with a lid. No cookie sheets, boards, laundry baskets, cafeteria trays, etc. We do not box. Turnaround time: We will fire only when we are able to fill the kiln at least 2/3rds full. This will help insure more successful firing results. Typical turnaround time is 1-2 weeks, but this is not guaranteed. Firings are done on a first come, first served basis. Want to make a specific clay body, but missing the industrial clay auger, de-airing pugmill, and hydraulic pug slicer to make your clay dreams come true? Don't fret, we've got you covered! If you provide the recipe, we'll do the heavy lifting! Custom batches yield approximately 1800-2000 lbs of clay depending on ingredients. We carry a huge selection of dry materials right here in our warehouse, and have connections to (in most cases) get any materials we don't stock. We are able to make red and white water-based clay bodies in our machines. We are not able to mix paper clay, cold porcelain, oil-based clays, or odd-color batches (like black, blue, or green bodies). Prices for custom clay batches are calculated by the recipe. If you would like a quote on a batch, send an email to craig@armadilloclay.com with your info. 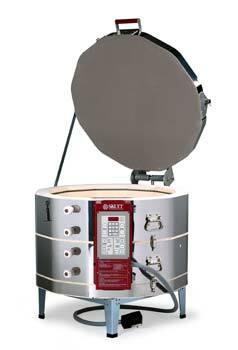 Kilns: We offer in-house and on-site repair and inspection services for Skutt kilns. Our travel range is limited to the Austin area. 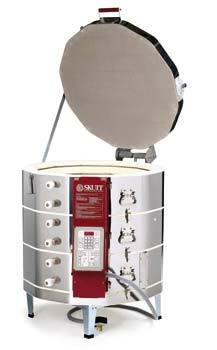 Our technician is professionally trained and certified by Skutt to perform diagnostics, repairs, and routine inspections on all Skutt brand kiln models. If you are having trouble with your kiln, please call us! We can usually diagnose the problem for free over the phone and give you a repair estimate. Formal kiln inspections cost $150, plus the cost of any replacement parts. We use only genuine Skutt replacement parts in all our repair work. Wheels: We can also repair Amaco/Brent brand pottery wheels here in our shop. You can drop off your wheel here at Armadillo, and we will diagnose the problem for free and give you a repair estimate. We use only genuine Amaco/Brent replacement parts in all our repair work. Don't see what you're looking for? We work with dozens of major manufacturers to bring you the widest selection possible. Due to limited space in our shop, we aren't able to stock every item from every vendor. However, odds are, if they still make it, we can special order it for you! Some of the manufacturers include Mayco, AMACO, Duncan, Kemper, Skutt, Shimpo, NorthStar, Paragon, Laguna, and many more! If you would like to inquire about a special order item, please give us a call! Not sure what gift to get for your favorite potter? Let them pick it out! We offer customized gift cards in any amount! We can also mail gift cards anywhere in the USA for a $1 fee. Call or stop by today to get one!